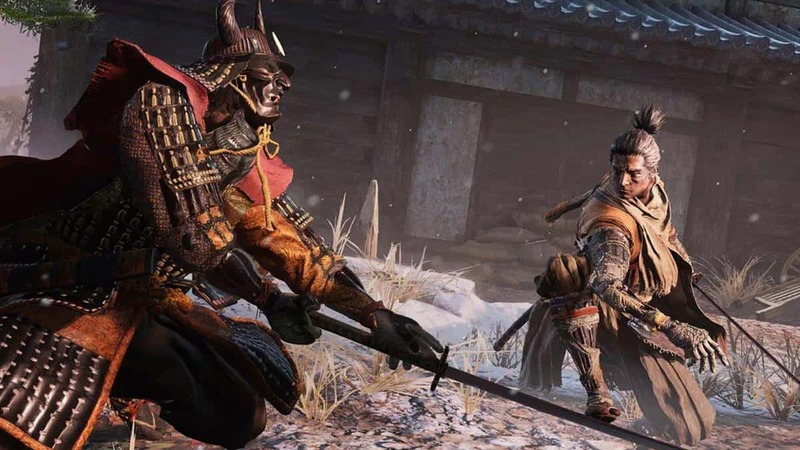 Sekiro Ashina Castle Walkthrough Guide will help you navigate through the main path to the Ashina Castle and infiltrate the castle to find Lord Koru. 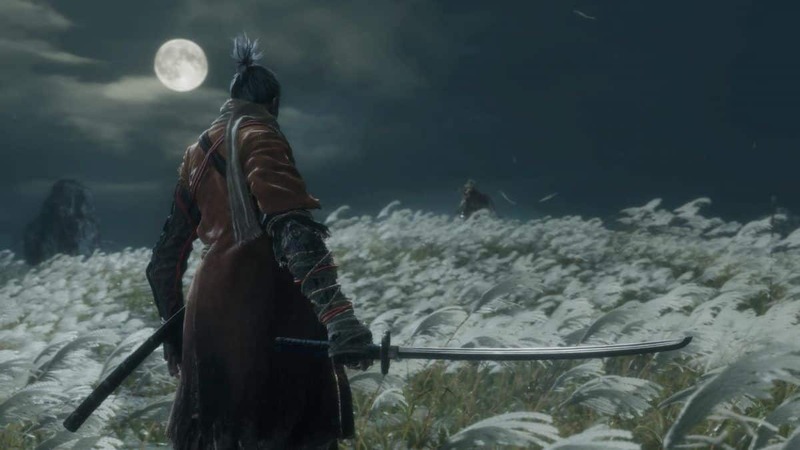 In this section, we will infiltrate to Ashina Castle for a rematch with Genichiro Ashina, find Lord Kuro, and learn about the Mortal Blade. 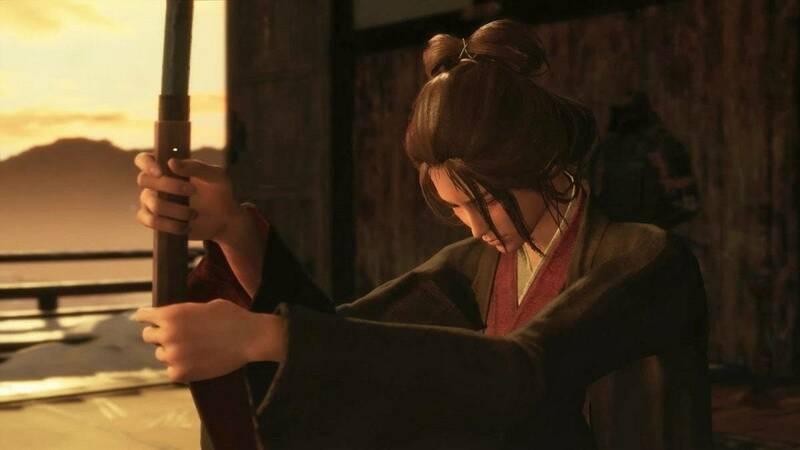 After you have defeated Gyoubu Masataka Oniwa, you are now able to access Ashina Castle Gate. In the castle, you will face a new type of enemy. It would be wise to go back to the Tengu of Ashina and talk to him and he will ask you to Hunt Rats. This Rats Hunting Quest is optional but he will give you the “Rat Description” that will help you hunt down the enemies you are about to face inside the castle. 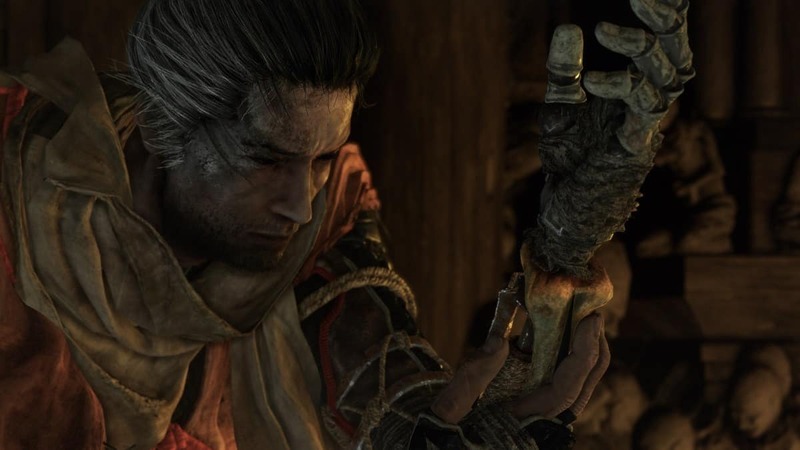 If you kill the rats he is asking, he will reward you with the Ashina Esoteric Text that will unlock the Ashina Arts Tree. Go back to the castle gate, open it, and make your way on the main path. Once you get to the sealed gate, grapple on top of it. You also get an eavesdropping opportunity here so take it. The enemies you are eavesdropping are the ones Tengu wants dead. Kill them if you want to or push your way ahead. There will be a staircase going down, take it, and you will have to fight a warrior and three dogs. Continue ahead and two more enemies will be waiting for you. You can stealth past them by taking the path to the left. Move on and a third enemy will come through the gate. Look back and you will be able to jump to the ledge slightly to the left. Go up and grapple to the roof of the building. There will be items here for you to pick up. However, be careful, as there are Crawling Geckos here. Deal with them and head to the tower. The tower gives you quite a view of the area ahead as you will be able to see some enemies and items. Grapple onto the gate where two soldiers will be talking. You can eavesdrop here and make sure you are stocked as you are about to trigger a mini-boss fight called The Blazing Bull. There will be soldiers in the area ahead, kill them and move forward to come across a raging bull with a burning log on its head. The key to defeating this mini-boss is to get behind it and land a few blows. Just dodge and get behind it and land a few hits. Eventually, you will defeat it. Once the Blazing Bull is defeated, the door ahead will open and two soldiers will come. 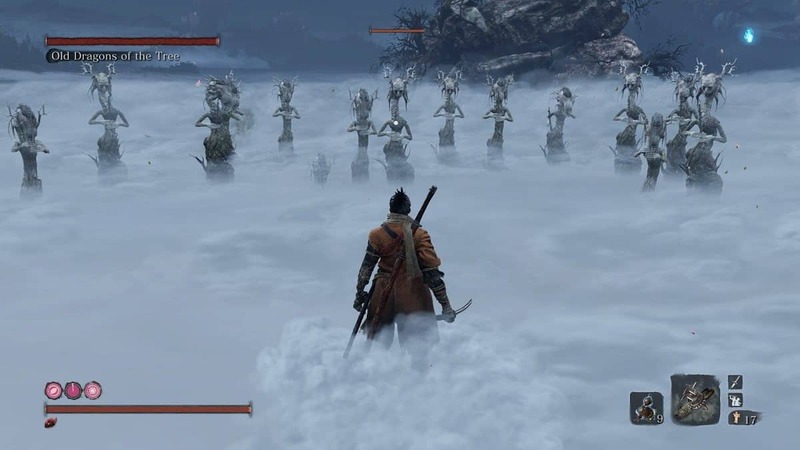 Kill them and enter the Ashina Castle to rest at Ashina Castle Sculptor’s Idol. From the Sculptor’s Idol, go to the right, as it is the main path ahead. As you get to the staircase, you will face General Kuranosuke Matsumoto and several other enemies. Kill them and move ahead but the door ahead is locked. Go right and a Nightjar Ninja will jump from the roof. Make your way ahead and your path will end at a drop. Do not go around the corner and instead, grapple to a roof further down. From this point forward, the enemies will become challenging. Go up the stairs and to the right to go around ambush the blue samurai. Open the door ahead and there will be many enemies patrolling the area and an old woman will ask for help if she sees you. Watch enemy patterns, kill the old woman, and then deal with the Blue Samurai. From the door, follow the wall to the right while killing enemies along the way. There will be three enemies in the adjacent room. Grapple to the ceiling and stealth kill one the enemies and then take care of the rest. Interact with the Upper Tower: Ashina Dojo Idol and face Ashina Elite – Junsuze Saze mini-boss. The staircase to the back of the room is blocked so go to the second room that has an open window. Use the open window to get to the top of the castle. 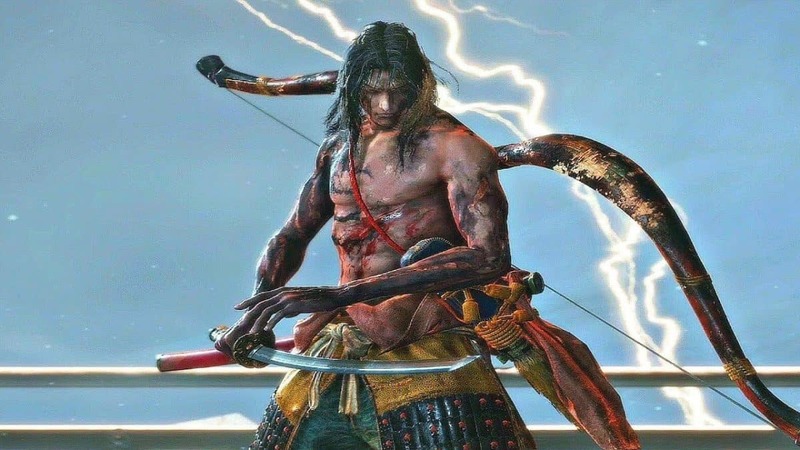 Genichiro Ashina uses most of the moves from your first encounter with him. As the first encounter, he will use his sword and will occasionally pull out his bow to attack you. However, this is a two-phase boss fight and this time, he has more varying attacks. He will lose his armor and his sword will be infused with lightning. Defeat him and you will be rewarded with Memory along with Bloodsmoke. After the boss fight, head downstairs and interact with Kuro Room: Sculptor’s Idol and speak with him. Speak with him again and he will give you the clue as to how to sever the ties with immortality. Examine the Incense Burner in the room and you will learn of a specific aroma to find the way to the Divine Realm. Speak with Kuro and he will go to find more texts and will ask you to find Isshin Ashina. Koru will point to the tower where Isshin Ashina is located. Follow the purple smoke to the tower and you will find an open door. Go inside and talk to Isshin Ashina and he will tell you about the “Mortal Blade” and tell you that its somewhere in Senpou Temple. Return to Koru’s Room and speak with Lady Emma and you will find that Lord Koru is in the library. Tell Koru about the Mortal Blade. You need a certain flower for the aroma to get to the Devine Realm and can only be found in Sunken Valley. Koru will also ask you to examine the Incense Burner. 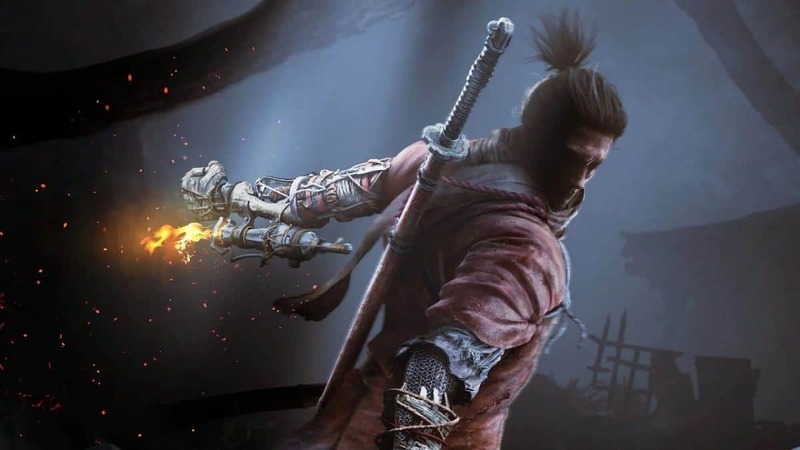 That is all for our Sekiro Shadows Die Twice Ashina Castle Walkthrough Guide with tips on how to get to Lord Koru. If there is anything else that you would like to add, let us know!